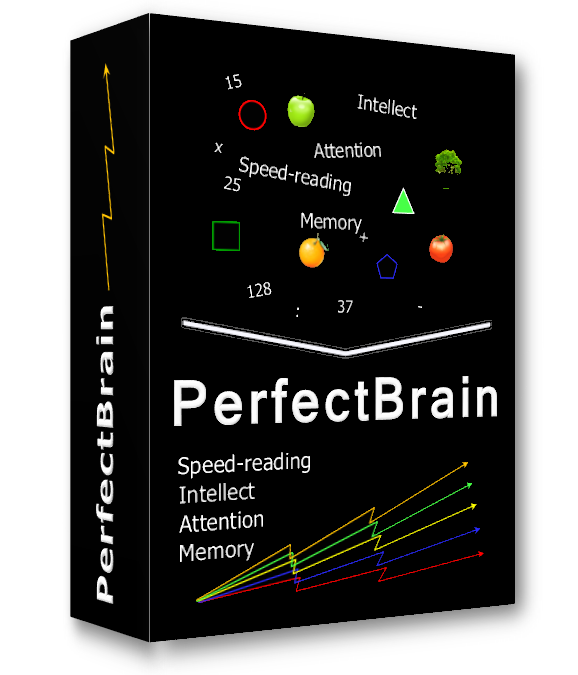 The ultimate tool for improving your mental capacity, PerfectBrain is both fun and easy to use. It provides a complex solution designed to help facilitate speed reading, memory improvement, attention to detail and development of logical thinking and mathematical abilities. It provides more than 100 exercises to help you develop your mind, and they are presented in a game-type format both for enjoyment and effectiveness. In addition to providing a multiple-level system of training, PerfectBrain also provides a smart system for collecting statistics and analyzing your progress. This useful feedback is presented in the form of various graphs and tables to help motivate you and keep you updated on your performance. Your greatest achievements can also be published on the website, allowing you to compare your results with other users of the program. This feature also allows you to keep your data safe by way of cloud storage. You will see your first results after only couple days of intensive trainings! Windows Character Counter V 7.2 Counts number of Characters. Counts number of spaces. Totals characters and spaces. Counts number of words. Imports and Exports Text Files. Please note: these are free downloads but you still need to purchase the Regkey serial number key for unlocking your software,to finish the install process. All : Windows, including Windows 8, & 8.1 /7,ME,XP, VISTA,2000. Combined assembler and 8086 microprocessor emulator. Learn computer architecture and assembly language programming. Play with virtual hardware, screen, memory and input/output devices.